Peel and slice melon into 1/2-inch semi-circle slices. 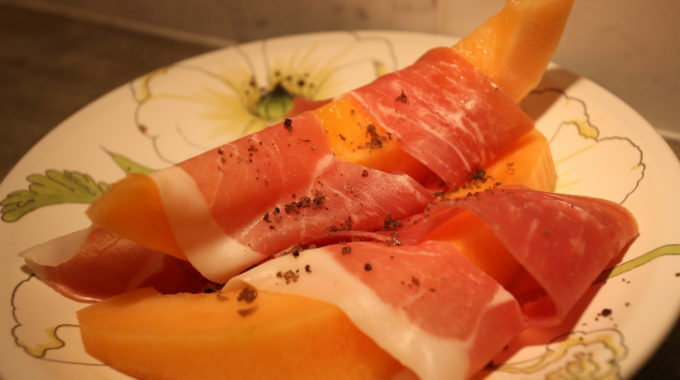 Wrap a slice of prosciutto around each wedge and arrange on a platter. Use fresh herbs of berries as garnish.